2016 Ford Focus RS - on sale dates, engine details and pricing | What Car? The new Ford Focus RS hot hatch will cost from £29,995 when it goes on sale in the spring. It is a rival to the likes of the Audi S3, Mercedes A45 AMG and Volkswagen Golf R.
The Focus RS is the hottest version of the standard car, and a step up in performance from the Ford Focus ST. 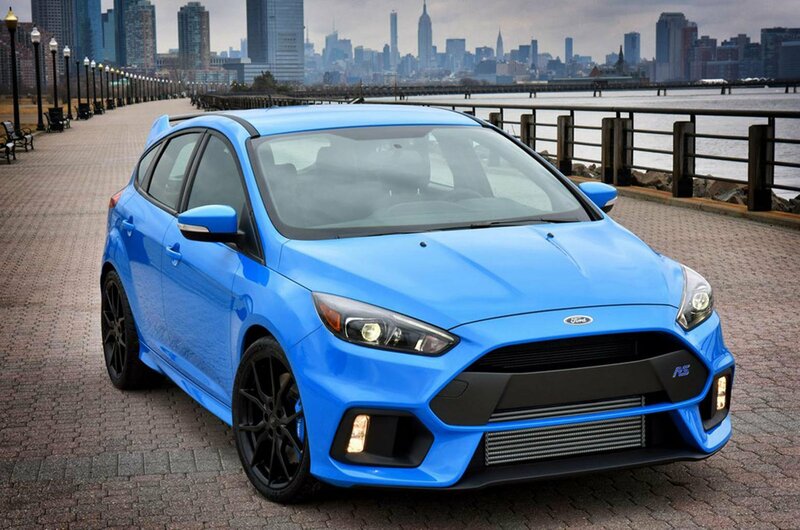 The Focus RS’s chassis is significantly upgraded, even from the Focus ST, in order to give it a harder performance edge. Changes include the use of stiffer spring rates, bushes and anti-roll bars, and two-mode dampers that can be switched between road and track settings. The electric power-assisted steering system has also been retuned to deliver what Ford describes as "connected and responsive steering with outstanding feel". Emphasising the track capabilities of the new Focus RS, it will be available with a specially developed semi-slick tyre for the first time. It is powered by a turbocharged 2.3-litre engine producing more than 345bhp. Drive is sent through a variable all-wheel-drive system. The engine is a modified version of the one in the Ford Mustang, but it offers 10% more power in the RS. It manages 0-62mph in 4.7sec, and has a top speed of 165mph. The RS has an official average fuel economy figure of 36.7mpg and emits 175g/km of CO2. The new Focus RS is especially notable for having four-wheel drive. The previous-generation cars put their power through their front wheels only, but under extreme acceleration this could make them hard to drive. Ford says its so-called All-Wheel-Drive with Dynamic Torque Vectoring system gives the Focus RS "class-leading corner speed, limit handling and a unique drift capability". The system uses two electronically controlled clutch packs that are located on each side of a rear-drive unit, which operates like a limited slip differential to move power to the wheel where it is most useful. The rear-drive unit monitors conditions 100 times per second to split power between the front and rear wheels, and on either side of the rear axle. The system also diverts torque to the outer rear wheel during cornering, aiding turn-in and stability. Ford says the system helps "provide neutral and adjustable limit handling, and the ability to achieve controlled oversteer drifts at the track". The Focus RS interior gets several upgrades to match its exaggerated exterior appearance. Highlights include Recaro sports seats, a flat-bottomed, leather-clad steering wheel, alloy pedals and a simpler dash layout than on standard cars. This includes a standard 8.0in colour touchscreen and Ford’s Sync2 connectivity system, as found on the standard high-spec Ford Focus. Buyers can choose from four colours: Nitrous Blue, Stealth Grey, Absolute Black or Frozen White. Intriguingly, the launch car pictured here is painted in what Ford calls Liquid Blue, which it says is "currently only a show colour", suggesting it may become available as a cost option. Prices start at £29,995, but there are plenty of options to help you bump up the asking price. Recaro shell seats cost £1145 and a set of the 19in black wheels are £595. The Luxury pack, which includes folding door mirrors, rear parking sensors, keyless entry, cruise control and privacy glass, comes in at £1000 and the electric tilt/side sunroof is £575. Can I get a Focus RS discount? Ford Focus RS models are traditionally highly sought-after, meaning discounts are hard to come by. 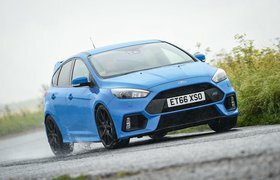 However, after the initial demand from enthusiasts has been catered for, it is possible dealers will become more open to haggling, especially in light of the £2000 discounts being offered on rivals including the VW Golf GTI and VW Golf R.
We’d expect similar savings to be possible on the Ford around six months after launch.